This half-hour series takes you on a glam-slam tour of the most influential, lucrative and boundary-smashing movement in pop culture hip-hop, from the superstars to the strivers to the style. 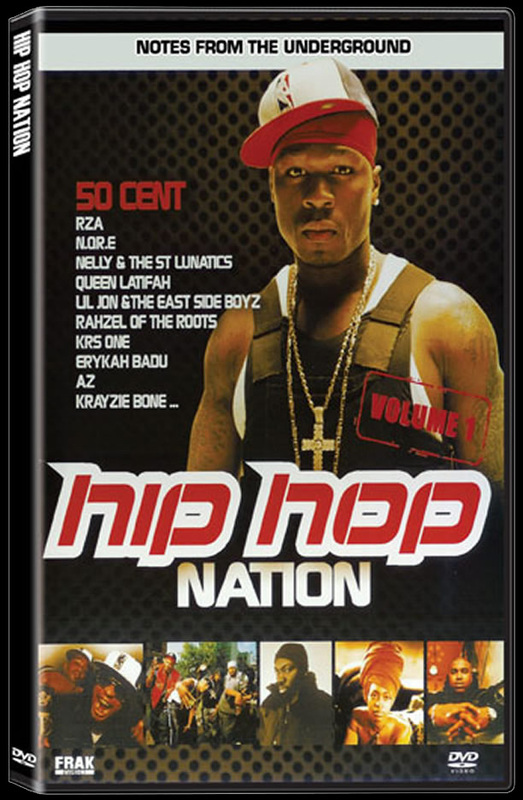 Authentic and in-depth, Hip-Hop Nation: Notes from the Underground explores how hip-hop has become more than just a popular beat, but a true phenomenon, influencing everything from movies and politics to rival musical genres and high fashion. HHN episodes consist of four distinct content blocks: Block One -- Stars: Go behind the scenes and in-depth with some of hip-hop's most recognizable celebrities. Block Two -- Lifestyles: Move past the music to explore the fashion, the cars, the gear and much more. Block Three -- Discoveries: Meet tomorrow's stars today and visit the country's wildest clubs. Block Four -- Fringes: Escape the ordinary with a kicker segment that exploits the hip-hop elements in sports, exotic vacations and comedy including the sketch serial, "Urban Survival Tips." Content from Current Episodes: Stars: Go behind the scenes with hip-hop's top stars and up-and-comers: N.E.R.D.- They've produced for Britney, No Doubt, Jay-Z and Janet. Now The Neptunes have donned a new name, a new groove, and have moved from behind the mixing board to the mic. Russell Simmons - The icon discusses all things hip-hop from founding Def Jam Records, to his new clothing line to the industry today. Ludacris - His 'Southern Hospitality' and quick-wit keep this Atlanta DJ-turned-multi-platinum artist at the top Nelly - Even an 'overnight success' takes years of hard work. The Grammy winner tells all. Lifestyles: Experience the broad and exciting culture of hip-hop and the people who make it happen: Fashion: Inside design houses such as Sean John, Blood Sweat & Tears and Chedda. Whipz: Inside car clubs. Labz: Inside the studios and homes of hip-hop's creative movers and shakers. Breakz: Inside the ever-popular world of break dancers. Discoveries: Hit the streets for a grassroots tour of hip-hop's next wave: Next! : Profiles of the acts bound for greatness. Perfect for maintaining your cutting edge. Club Secretz: Experience the nation's hottest nightclubs. Street Fashion: Hip-hop fans from around the country model their slickest threads and offer tips. Fringes: Urban Survival Tip: A humorous 'how to' guide to surviving in the 'hood Sports Beat: A pure shot of hip-hop laced adrenaline featuring skaters, bikers and more.